Company: Sylvania Electric Products Inc. Specialty: Major manufacturer of electrical equipment including radios, televisions, diodes, transistors, vacuum tubes, semiconductors, and mainframe computers. Co-Developer of the COBOL programming language. 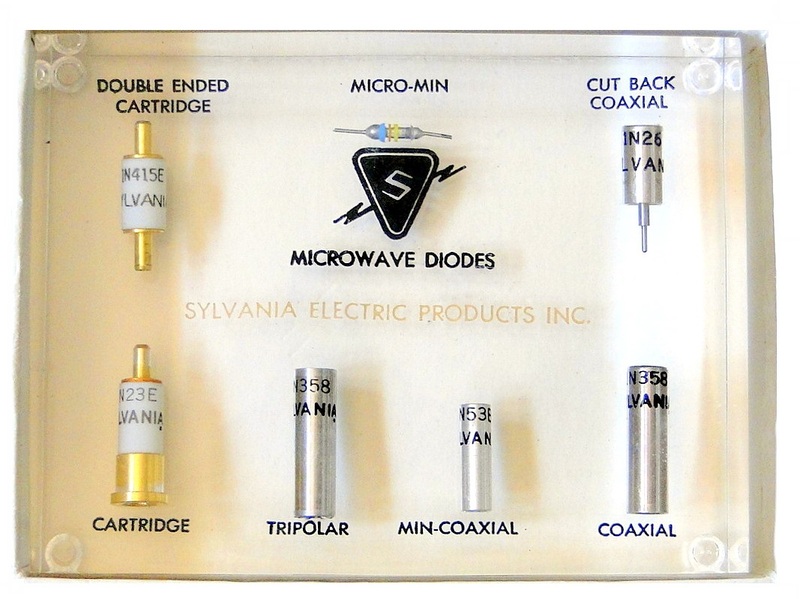 Lucite paperweight from Sylvania Electric Products Inc. shows examples of the different types of Microwave Diodes they were offering for sale. 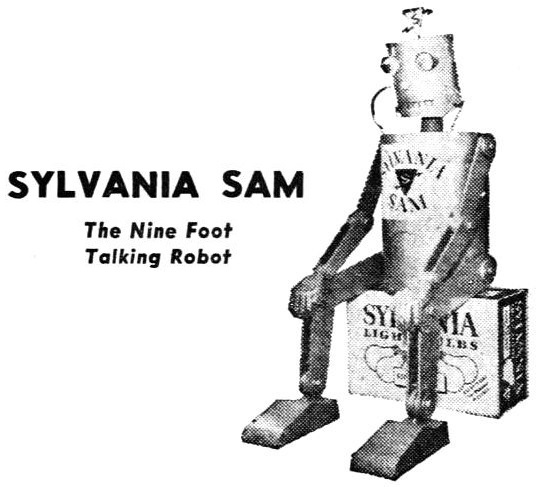 In 1959 Sylvania Electric would merge with General Telephone to form General Telephone and Electronics (GTE). 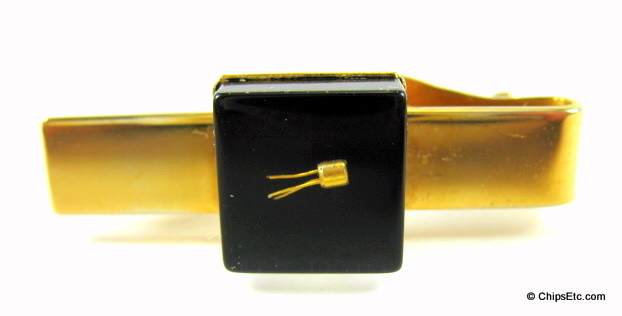 Measures 3-5/8" x 2-3/4" x 1"
This gold plated Tie Bar contains an unusually small, gold plated, three lead Sylvania Electric Transistor encased in Lucite with black background. Measures 1 3/4" long x 5/8". This metal Tie Bar from Sylvania Electronics Semiconductor division contains a miniature rendition of an Integrated Circuit chip. ​Item has the Sylvania logo stamped on the Tie Bar.